Growing up, you either had two types of friends: the ones who had their tonsils, or the ones who had them removed. Sure, the idea of eating ice cream for dinner seemed like a fun idea, but for those who have ever suffered through tonsillitis, or having their tonsils removed: they can tell you, it certain is no picnic! Viral and bacterial infections are the root cause of tonsillitis. The condition affects the two tissue masses at the back of an individual’s throat, which are commonly referred to as tonsil. Tonsils are essentially filters that catch germs before they enter a person’s airways and develop an infection. These little masses also create antibodies that can battle infections, however when they are infected themselves, tonsillitis sets it. This is because the tonsils are simply overwhelmed by virus and bacteria that they become inflamed and swollen themselves. The illness occurs frequently in children, but at the end of the day, it can really happen to anyone. It can develop occasionally for some, yet return frequently for others. As the root cause of tonsillitis is infection, the most common underlying cause is strep bacteria (streptococcus). Treatment for this condition does vary. While some doctors may prescribe medication, rest, plenty of fluids, and over-the-counter drugs (ibuprofen or acetaminophen); there are also cases when a tonsillectomy may be in order, and this occurs when the condition is persistent, and keeps recurring. Still, detection is key, especially when it comes to receiving the correct treatment for pain relief. It’s no surprise that the symptom of a fever lands on the top of this list. 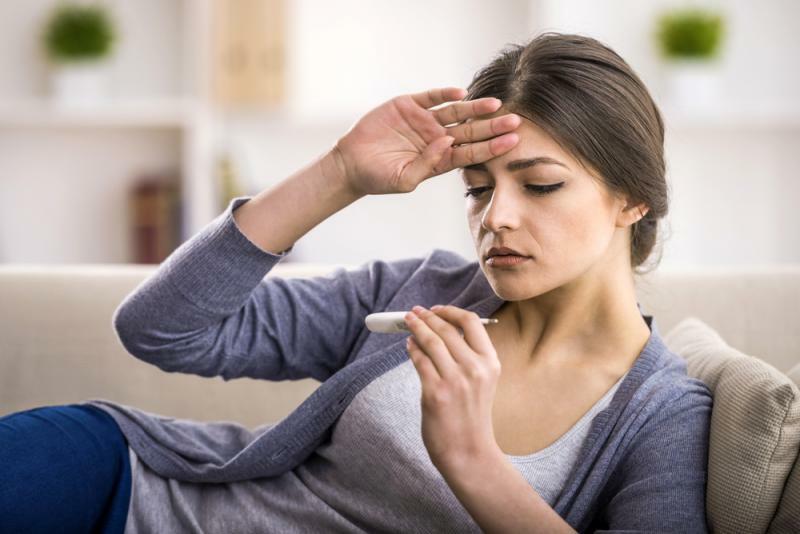 As with many illnesses, a temperature that is higher than 100.4 F (or 38 degrees Celsius) can be a key indicator that something is very wrong, or that an infection has set it. Couple up a fever with any of the other throat-related symptoms of this list, and there is a very good chance that you may have tonsillitis. It’s important to note, tonsillitis patients also report getting the chills, along with a fever, when suffering through this condition.